Dr. Chang currently serves as Vice President and Director of Water Treatment Technology for AECOM. His primary responsibilities are to provide technical leadership in project pursuits/execution by providing the most effective and affordable solutions to meet specific project needs and to develop/enhance a company’s technical strength in regulatory compliance, treatment technologies for impaired/alternative water supplies, municipal wastewater reclamation, direct/indirect potable reuse, brackish & seawater desalination and industrial applications. Prior to joining AECOM in 2013, Dr. Chang had provided a similar leadership role for another major global engineering firm for 15 years. 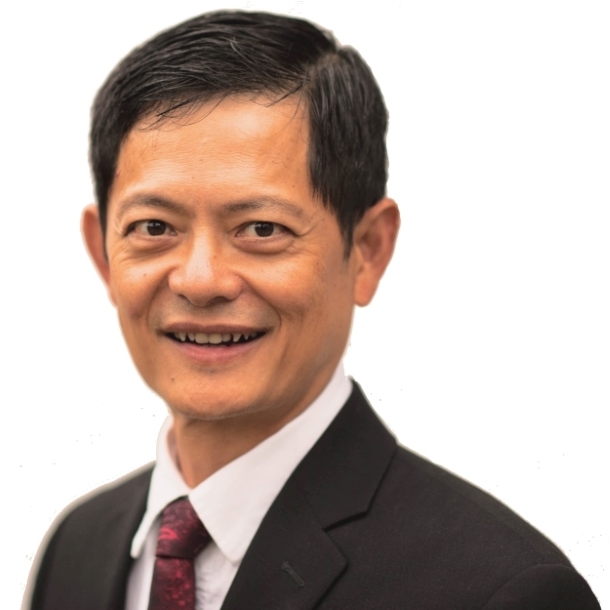 Dr. Chang has over 28 years of experience in practicing water and wastewater treatment facility design, process optimization, troubleshooting, technology evaluation/verification, and applied research for both municipal and industrial clients. He has a wealth of experience in a wide variety of advanced treatment technologies with emphasis in membrane filtration, BWRO & SWRO desalination, filter performance optimization, high rate clarification, disinfection practices, disinfection by-product (DBP) control, Taste & Odor mitigation, inorganic containment removal (selenium, arsenic, selenium, copper, radium, lead, strontium, iron manganese, chromium, nitrate, fluoride, etc. ), advanced oxidation, UV disinfection processes, GAC adsorption, biological filtration, and zero liquid discharge (ZLD), and trace organic contaminant removal (such as TCP, PFOS/PFOA). He is a nationally recognized expert in membrane technology and is currently a board member of the American Membrane Technology Association and Northwest Membrane Operator Association. He also serves as the Chair for the AWWA Membrane Process Committee, as well as the Program Chair for Membrane Technology Conference 2018, joined by AMTA, AWWA, WEF, and WateReuse. Prior to practicing engineering consultancy, Dr. Chang was a former faculty member at the West Virginia University. He has also served as an Adjunct Professor at the University of Washington since 1999, advising research projects and assisting the commercialization of an exciting technology that he developed. The fusion of his broad knowledge in science and engineering empowers Dr. Chang in directing applied research, developing cutting-edge technologies, and tailoring unique solutions to serve each client’s special needs. For example, Dr. Chang created a powerful proactive membrane operation monitoring program and invented four patented treatment processes for both municipal and industrial water/wastewater applications.